Fondue is fun for everyone. On April 11, National Cheese Fondue Day is the perfect excuse to share a meal of fondue. The Melting Pot is celebrating the occasion by bringing back its free cheese fondue offer. The 5th annual National Cheese Fondue Day celebration is back for all to enjoy. 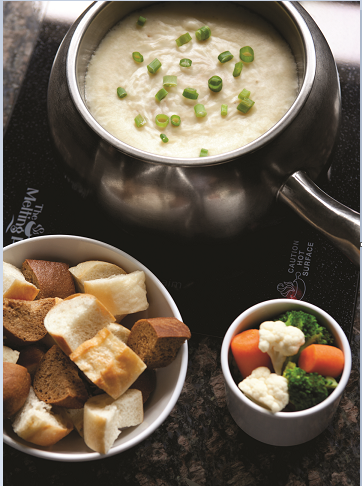 Fondue fanatics rejoice with the offering of free cheese fondue at The Melting Pot. Members of the Club Fondue, http://www.nationalcheesefondueday.com, members by March 30, will receive an email with special instructions to redeem the offer. . New and existing U.S. Club Fondue members who signed up by March 30 will receive an email between March 31 and April 2 with instructions for how to redeem this year’s free cheese fondue offer April 7 – 10. Reservations are required to redeem the offer and offer availability is limited. To tide everyone over before the National Cheese Fondue Day. 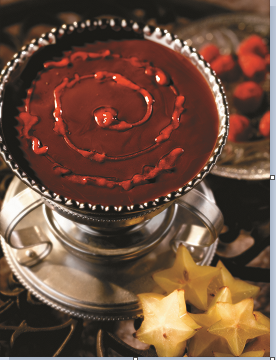 Here is a recipe from The Melting Pot. Toss the cheese with the flour in a bowl. Place a metal bowl over a saucepan filled with 2 inches of water. You may also use a conventional double boiler. Bring the water to a boil over high heat. Reduce the heat to medium and pour the beer into the bowl. Press the liquid from the horseradish. Stir the horseradish, Worcestershire sauce and mustard into beer using a fork. Cook for 30 seconds, stirring constantly. Add half the cheese and cook until the cheese is melted, stirring constantly. Add the remaining cheese a small amount at a time, stirring constantly in a circular motion after each addition until the cheese is melted. Fold in the bacon and pepper. Pour into a warm fondue pot and keep warm over low heat. Garnish with the scallions. Serve with artisan breads, apples and seasonal vegetables for dipping. Serves four to six.